Mod Updated with easier process! - Max damage increased to 65k instead of 9999; affects your group and opponents too. - You won't lose magic from your inventory when you cast it in battle. 1. 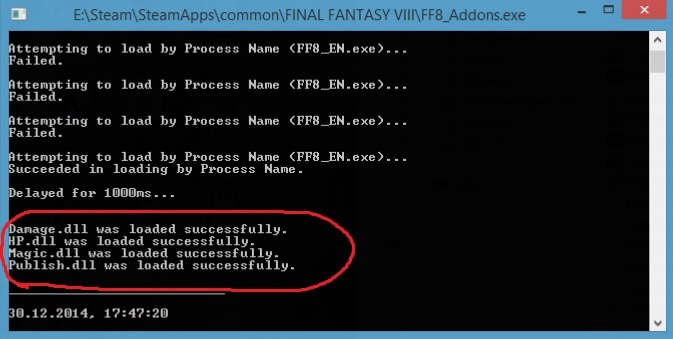 Move "HL_Files" and "FF8_Hard_Launcher" into your parent FF8 directory. **If you use any Tonberry mods, do not move any of the Tonberry .dll's into this location - it will render Tonberry useless. Go HERE to use these Add-ons with Aali's Driver. Thanks to JeMaCheHi for trying so hard to get the mod to work and helping me figure out where I went wrong! Thanks to DLPB for his Hext Tools! Go HERE to support him! So modifying the code of FF7/FF8 is done by a memory injection? There is nothing that points to specific variables in the code? Hello! I actually have no idea how the mods were created. If you go to the original post where I linked to the download you may be able to track down the programmer, But it's been years since he's posted. 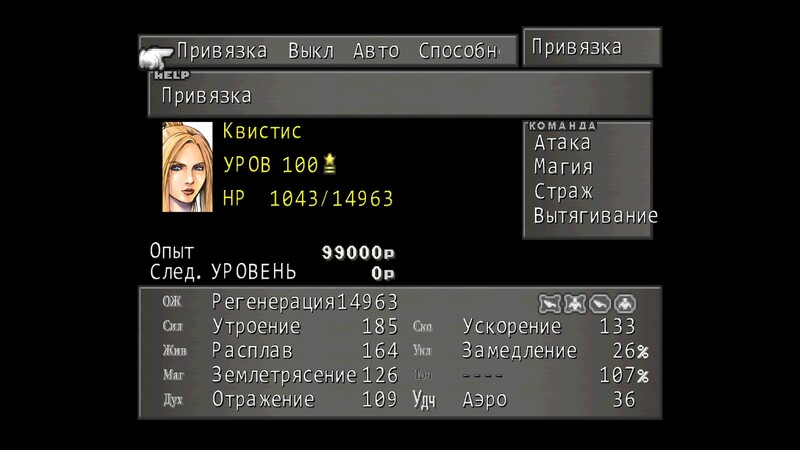 I just found a way to resurrect the old add on mods they used to use in the FF8_Launcher. I do know someone who is editing the difficulty of the game. He posted about vit 0 immunity in the tools section. Maybe he has some insight? I wouldn't know how to decompile the .dll to see what it's doing. Anyone out there have any ideas? you said the hextlauncher can work with RaW too but I put the Raw.dll into the DLL_in folder and the game said it has error and RaW.dll failed to load. Perhaps I did something wrong? i got these all to work except for the hp one still sitting at 9999 not to sure whats up or if there is some other method. All mods work, including HP. possible to make it so magic.dll only affects edea? Making a new hard.dll is also a needed, since the game is already easy by itself. The other dlls break it even more. 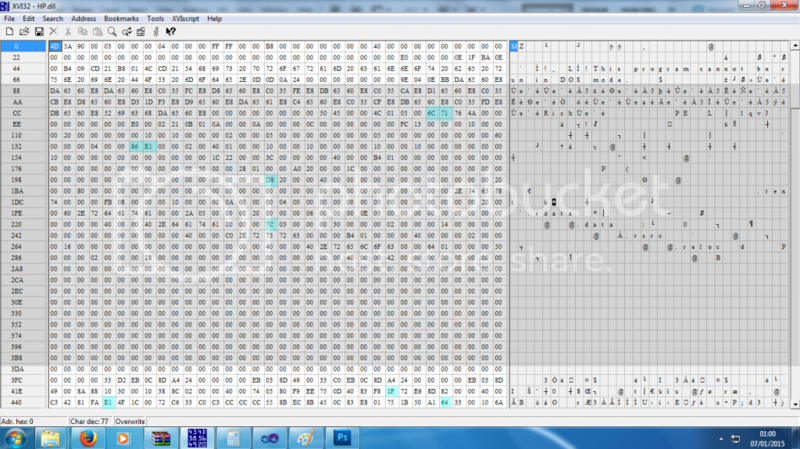 I'll have a look at the Hard.dll, definitely, after I've got my head around the damage/hp, what I'm doing so far, is essentially isolating the changed strings, decoding them to decimal, replacing the string by encoding back to hexadecimal, and then trial and error to get the correct outcome - there is a chance, these might in-fact be the original values, or relating to damage as oppose to HP... Again, down to trial and error! My aim is to make it really vital to break hp limit- so through the use of HP-ups/hp bonus, have all monsters above a certain level break damage limit, so this makes 255 vit less of a joke, when monsters hit you for 50 etc. The battle system as we know it is totally broken, but because we know this we can find a workaround, but it will take time to make the changes... A lot of time. p.s. there used to be a weird buggy issue with the 32K hp, that would make your character jump up and down when healed at max hp, that is no longer the case at 30K, if that bothered you- furthermore it's pretty fun to see your HP at "0" Yet still in white ...Not sure if there will ever be a way to have more than 5 integers displayed at once as HP near character name. If all these dlls do is change memory at run time, then use HextLaunch with Hext instruction files. It's as simple as editing and adding text files that way. If you close game without closing launcher and push play button to start game, hext launcher will not work. It is bad tool. I'm struggling to get this working with some of the graphic mods- tonberry,Eden, horizon tripod seed reborn I just get a error saying "the program cannot start because MSVCP120.dll is missing, try re installing the program to fix this problem"
I'm coming to the end off the game now and I don't think the hard mod have ever been working for me. At first I thought because I kept my level low but managed to still make my characters juntioned with good magic that I was still to powerful, making the game still easy due to the bosses etc still being low levels. However, I've just thought Fujin, Tajin and Seifer on the Pandora with my main 3 characters all lvl 100, and they're attacks are absolutely nothing. Most of their attacks have been in the 2-3 digits, sometimes are some 4 figure damage attacks, however, they are in the low 4 digits and pose no threats. I don't recall it ever being this easy before. Also, the HP mod doesn't work for me at all. I too had an issue with HP mod not working. The resulution i found is that I have to install hard.dll too. Can someone plz make HP.dll standalone version? I followed the instructions and still can't get the .dll files to load...it says there is no instructions present? If you have no instructions error or not loading DLLs, you did not follow the instructions. Especially the part where it tells you to edit settings.ini to match. There's a WorkingFolder= line that currently breaks DLL loading. Delete the text after the = or remove the line entirely to make your ini match like the OP. Works fine here following all instructions and without Hard.dll (Currently using FF8 Requiem instead). Obviously, if you were already at 9999 before you loaded the mod, you would stay at that at least until a level up or stat change since it appears to just adjust the variable and cap to allow larger values and doesn't call any kind of recalculation at save load. YES!!! Welcome back I'm glad you're working on this project. 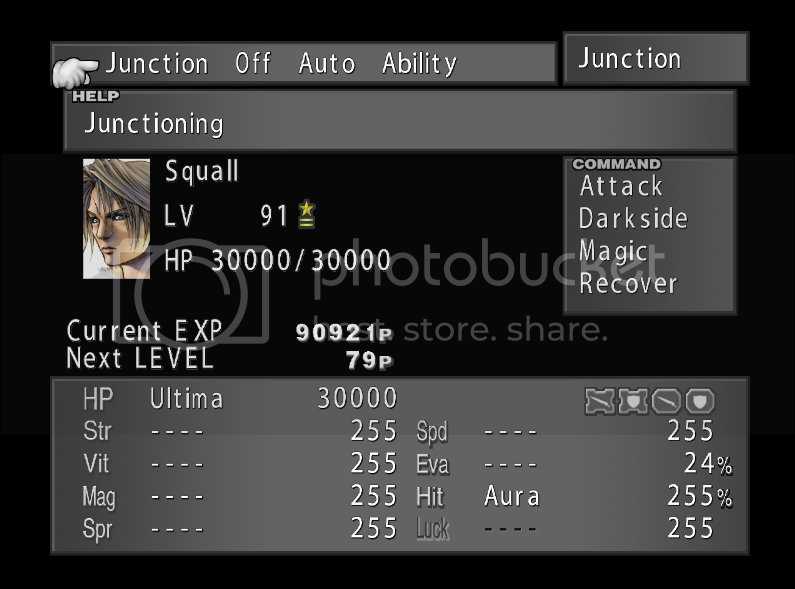 Have you seen the editing tools available for FF8 now? You might be able to utilize them in conjunction with your mods. I hope this works! There are many people trying to make the game more difficult, but as you know - it's an ongoing struggle to balance FF8 properly without everyone always exploiting the heck out of it. lol. I'll soon be releasing my own DLL which automatically adds the ability to use text file byte change instructions without need for injection (part of RaW). So you don't need to mess about with dlls. As we patiently wait for DLPB to finish his new ddraw.dll for FF8, I present everyone with an "easy" way to implement these add-on's! I fixed old compatibility issues and streamlined the process. Right now, I'm using dll injection from the old files still - and as soon as someone can help me figure out how to translate gaastly's hex instructions into HEXT, we won't have to use the .dll's anymore.